Pale skin? Check. Strange-colored eyes? Check. Lanky body and brooding demeanor? Check and check. Paranormal abilities? Not quite. 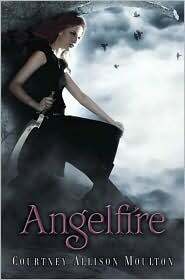 Awkward and allergic to the sun, sixteen-year-old Finbar Frame is the sensitive guy who never gets the girl. 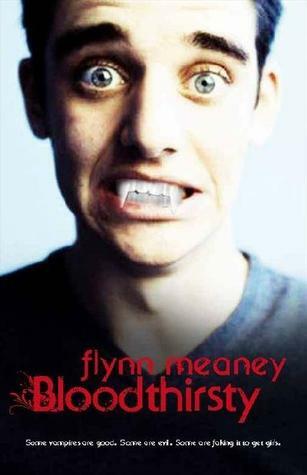 But when he notices that all the female students at his new school are obsessed with the vampire book Bloodthirsty, Finbar decides to exploit his lack of pigmentation and become a vampire. Or at least fake it . . . to get a date. Bloodthirsty is a hilarious send-up of today's pop-culture infatuations and a pitch-perfect portrait of a lovably neurotic teenage guy on a quest to be cool. I'm dying to get my hands on Delirium. Can't wait to see what you think! 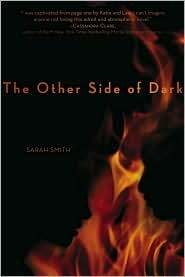 Any of you in the Boston area, come to the publication party for THE OTHER SIDE OF DARK, Nov. 4, 5-7 PM at the Brookline Public Library (Main branch, Hunneman Hall, 361 Washington St., Brookline).